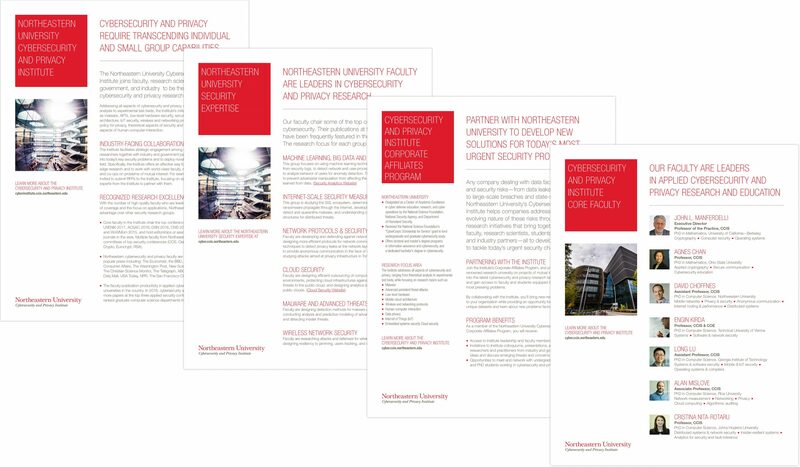 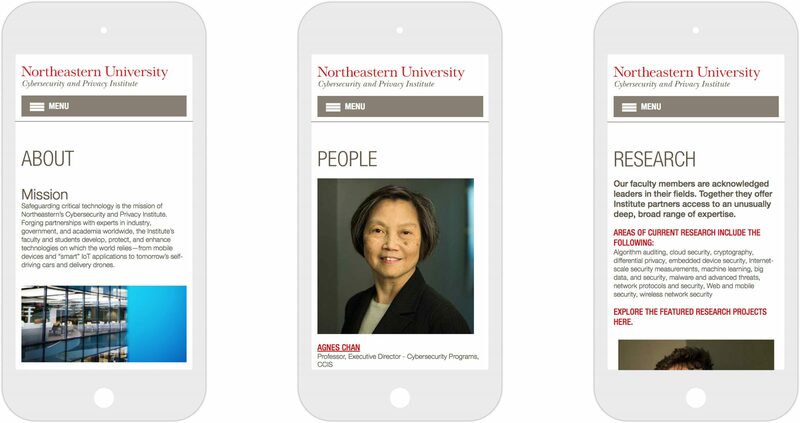 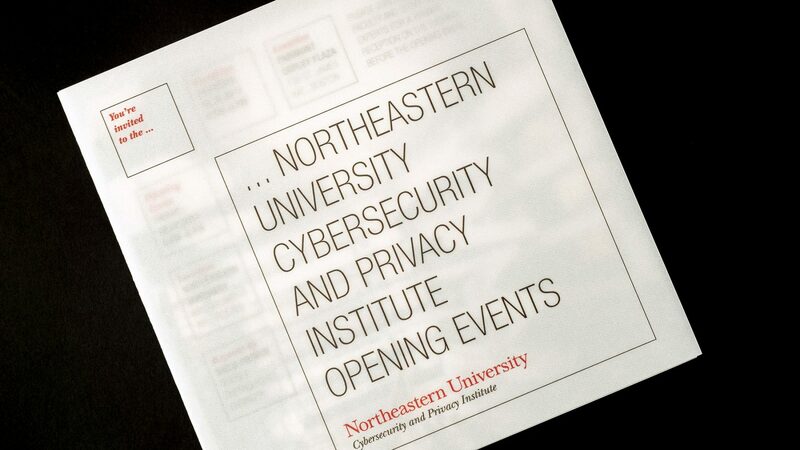 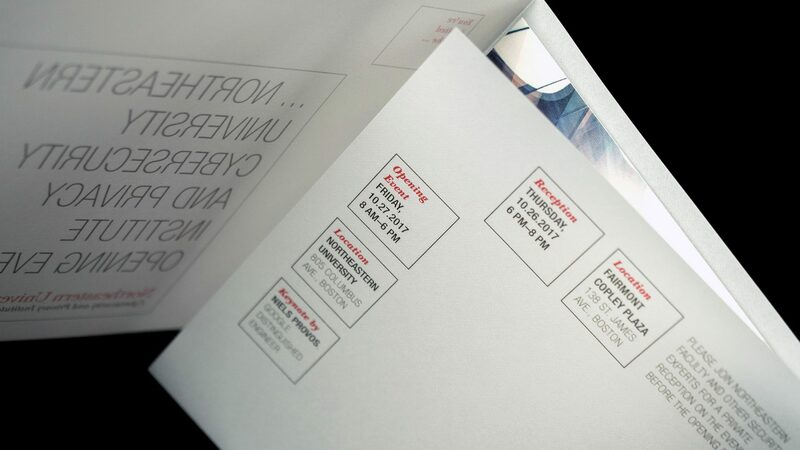 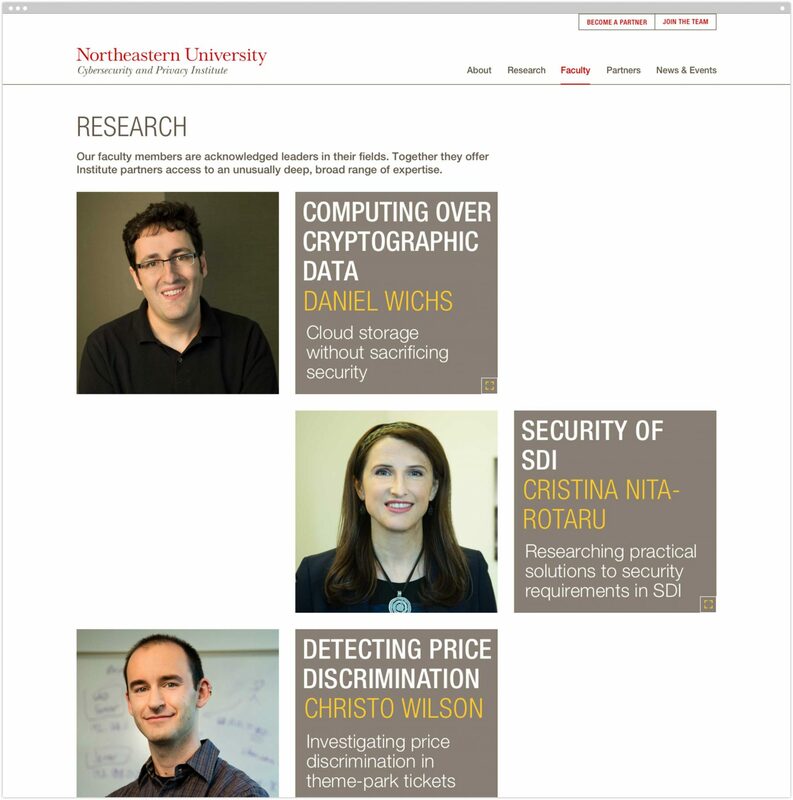 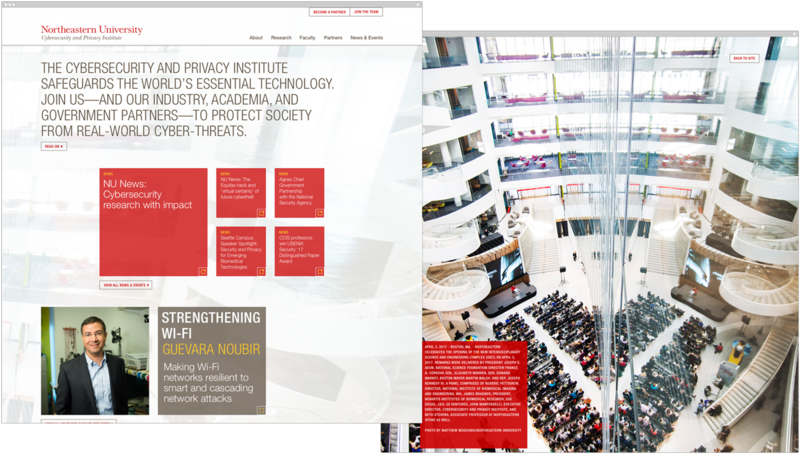 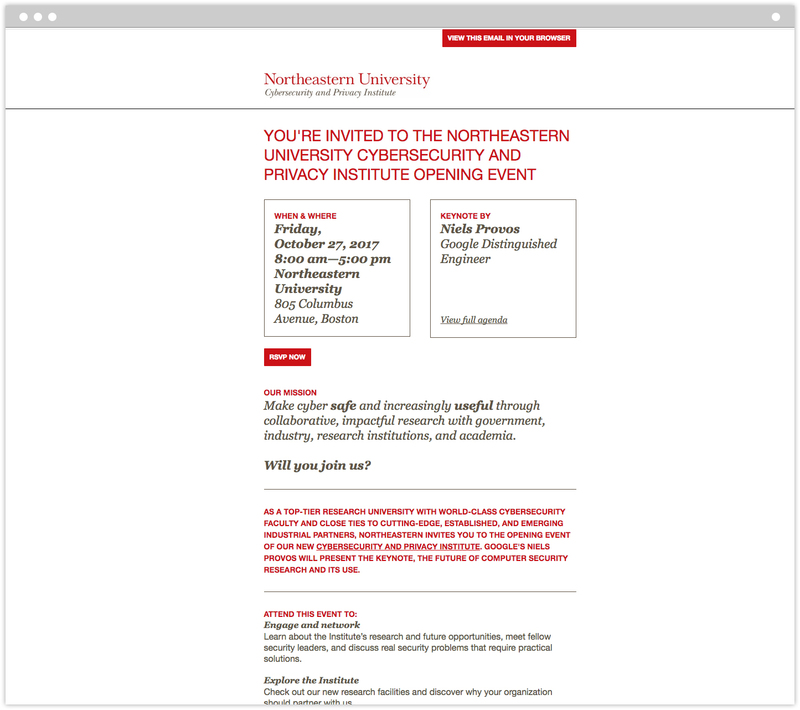 Northeastern’s Cybersecurity and Privacy Institute brings together faculty, research scientists, students, government, and industry to be the leader in applied cybersecurity and privacy research and education. 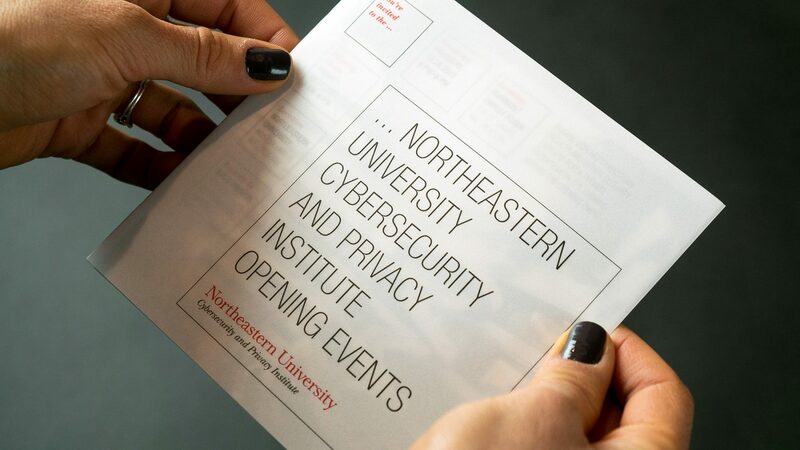 The Institute’s many partners tap the expertise of Northeastern’s faculty to solve problems in areas from cryptography and cloud security to malware analysis and detection. 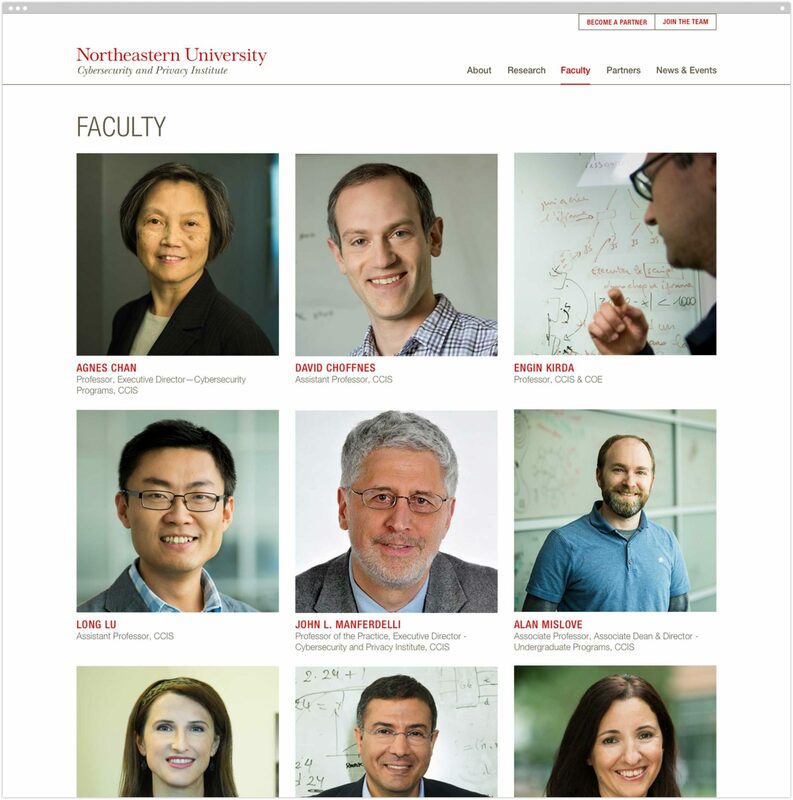 This network creates a fertile ecosystem for cross-disciplinary collaboration. 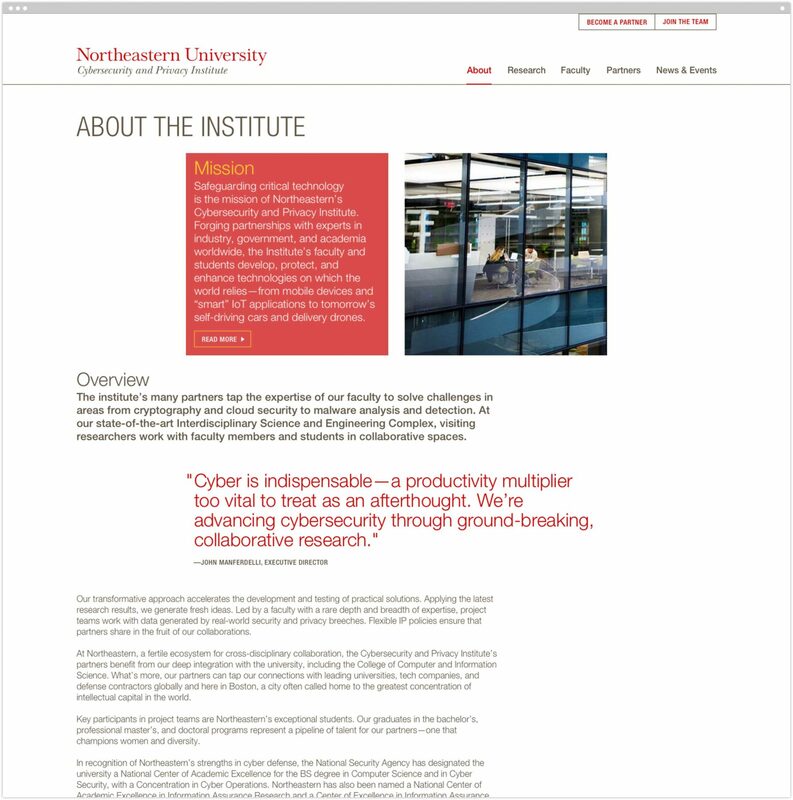 The Cybersecurity and Privacy Institute’s partners benefit from a deep integration with the university—with the College of Computer and Information Science students and faculty at its core. 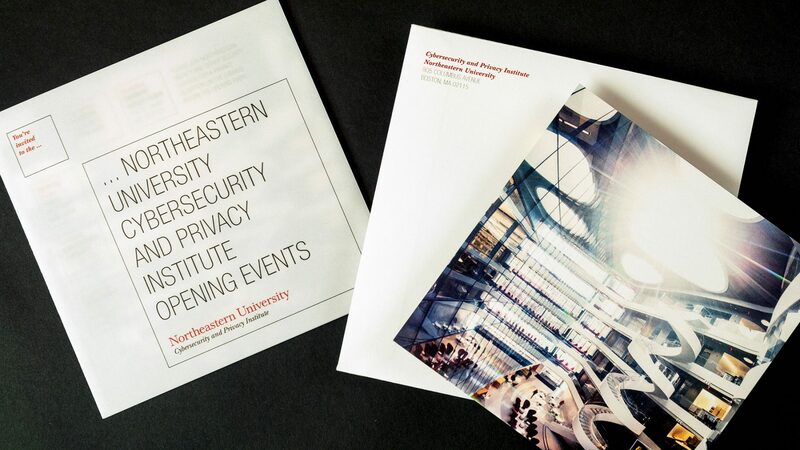 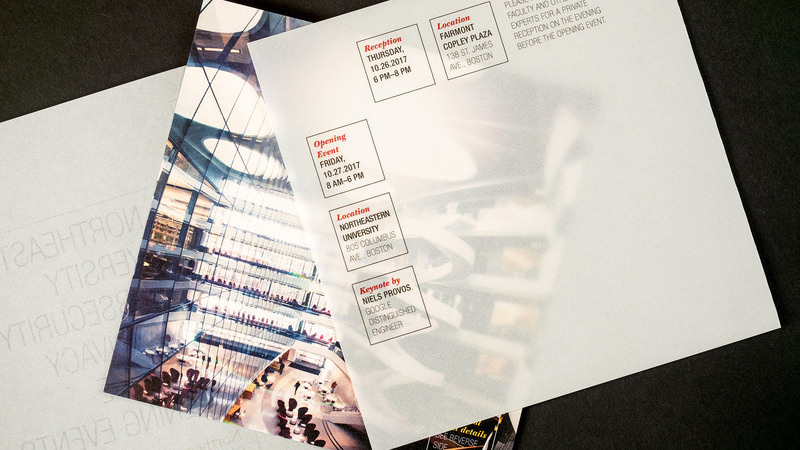 What’s more, these partners can tap into connections with leading universities, tech companies, and defense contractors globally and here in Boston, a city often called home to the greatest concentration of intellectual capital in the world.